Vast and remote, Kau is Hawaii’s southernmost region. 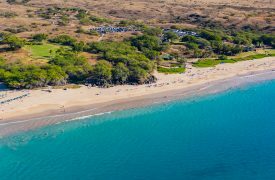 Its proximity to Hawaii Volcanoes National Park attracts many visitors on their way back or toward the area and rewards guests with some of the most beautiful beaches in the world. 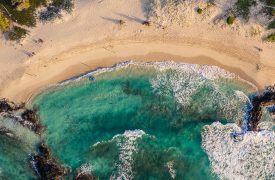 Without much in the way of infrastructure, established tourist attractions, or overnight accommodations, a trip to Kau often turns away all but the most adventurous and exploratory guests to the island, but if you’re here to make the most of your Hawaiian vacation, there’s no better place to start than the remote beaches at Kau. 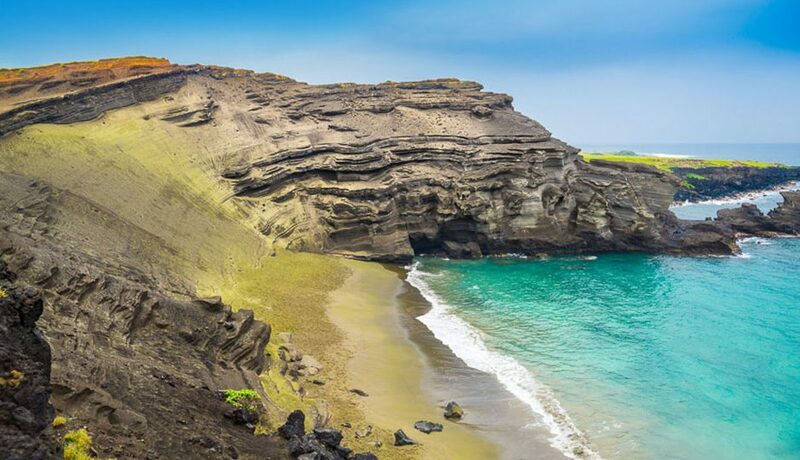 For the ultimate beach adventurer, a trek to Papakolea Green Sand Beach is a must do item during a Hawaiian vacation. Located in one of the most remote and rugged regions of the Big Island, Papakolea Green Sand Beach requires a 5.3-mile round trip hike on foot across hot, windy terrain, but the spectacle more than makes up for the effort. 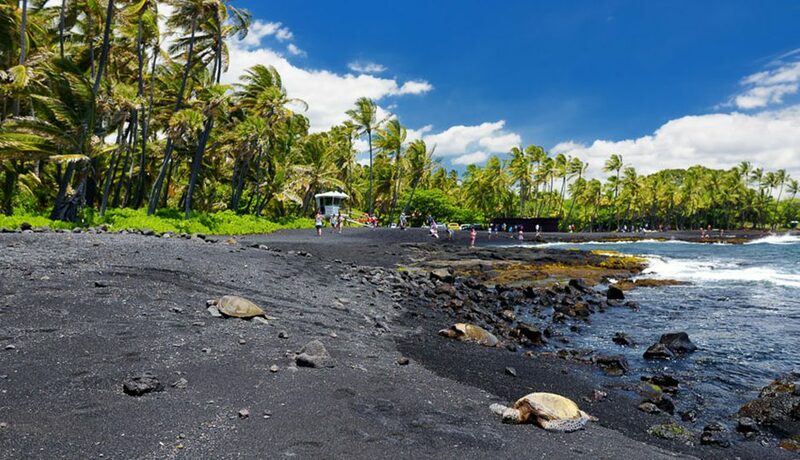 Blessed with obsidian-black sand, Punalu’u is a must-stop for beachgoers, as the shores here are an incredible sight to behold. Made up of basalt, a side effect of near-constant lava flows on the island, the sands are dark and crystal-like, keeping a uniform shape that makes a dazzling display in the sun. 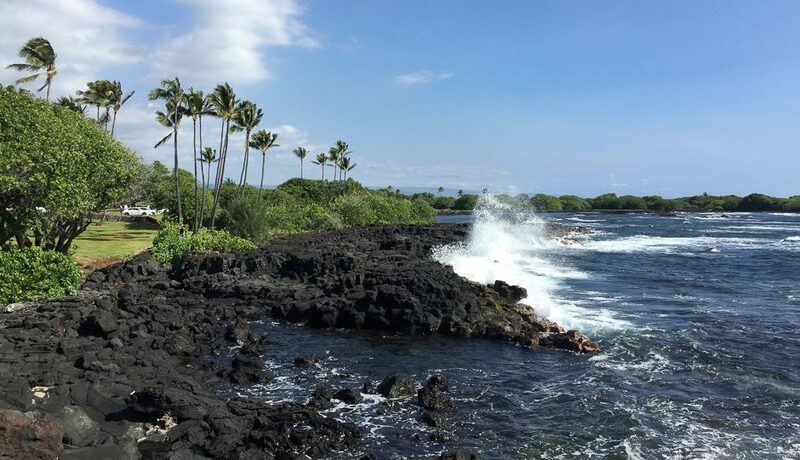 While swimming can be hit or miss with strong waves and lava rocks scattered throughout the nearby waters, this beach makes our beautiful beaches list because the view and atmosphere of the beach is well worth a trip to the southern part of the Big Island. 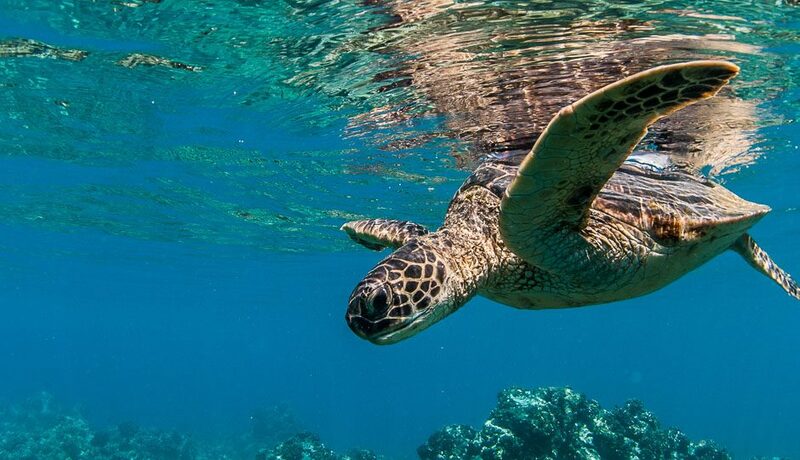 Keep your eyes peeled for hawksbill and green sea turtles, as they love to sun themselves on the warm black sand. While this one isn’t actually a beach, it is a coastline view worth seeing. 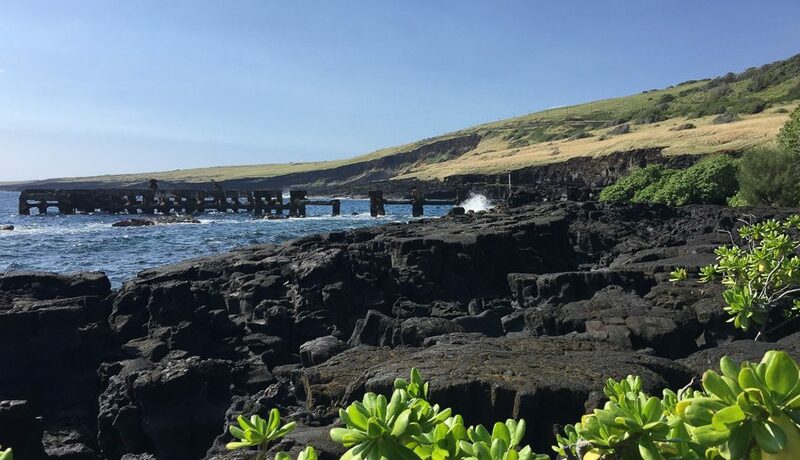 Believed to be the first settlement by ancient Polynesian settlers, Ka Lae is the southernmost point on the Big Island and in all of the United States. A National Historical Landmark, one can spot ruins of Hawaiian temples, fishing shrines, and other notable sites along the point’s rocky cliffs and beaches. While there’s plenty to look at and enjoy, you really shouldn’t try swimming or snorkeling here – the strength of the waves and winds along Ka Lae are enough to send people into the rocks along the coast and quite a few swimmers drown here each year. Because of its protected status and sacred importance to Hawaiian culture, visitors are asked to treat the area with the utmost respect. Situated along the southern edge of the Kau desert, Honuapo is a dry, windy beach park with vibrant colors and amazing views of the ocean and surrounding cliffs. 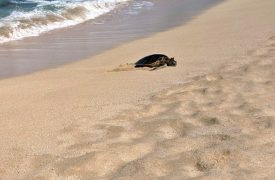 With picnic tables, bathrooms, and barbecue pits, time spent at Honuapo will include some sightseeing and beachgoers will often get a glimpse of the hawksbill sea turtles that make their beds on the sands of the beach. There’s also a coastal area past the fishpond that’s calmer than the strong waves at the park, allowing for more calm swimming and wading. One of the island’s best-kept secrets is Kawa’a Beach, a small and well-protected point between Punalu’u and Honuapo. Undeveloped and out of the way, Kawa’a is a famous surfing spot for locals and therefore known for less than friendly behavior toward misbehaving visitors. That doesn’t mean, however, that visitors aren’t welcome – the locals who live near and maintain the beach are incredibly insightful and eager to tell stories about the area. Just be sure to ask permission before you camp, be mindful of the private property around the beach, and if surfing – be extra respectful out on the waves.